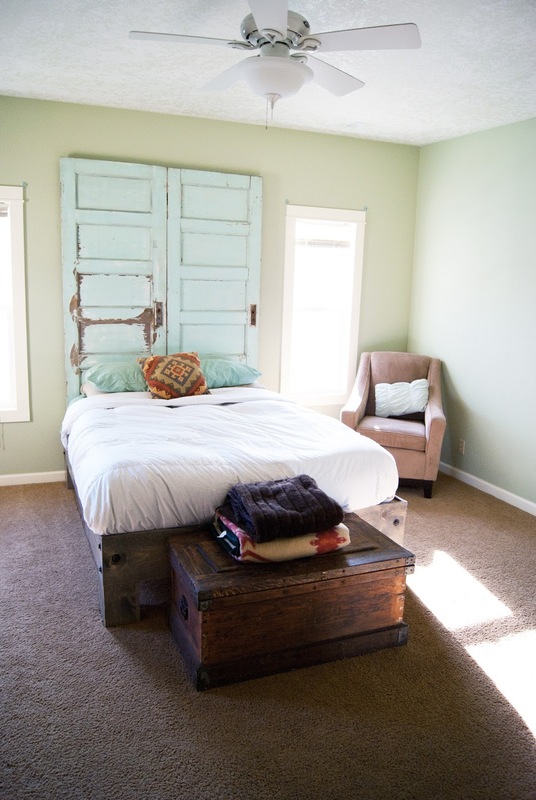 As you can probably guess from the title, the master bedroom received the most votes (67% actually!) for the Spring One Room Challenge! I really thought it was going to be a nail biter, but I guess people are ready to see me finally do something about this space. I'm not gonna lie, I am sooooo excited to tackle our master! 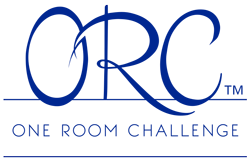 Just to recap, in case you're scratching your head wondering what the heck the One Room Challenge is, its a design challenge put on by Linda at Calling it Home. The goal is to completely makeover a space in 6 weeks - start to finish! I'm choosing to participate via the link party on Thursday's, but you can also find the "professionals" tackling their spaces on Wed! Its so much fun to follow along!! If you happen to visiting from the link party, then welcome to Averie Lane! We decided to build ourselves a bed not long after moving in. 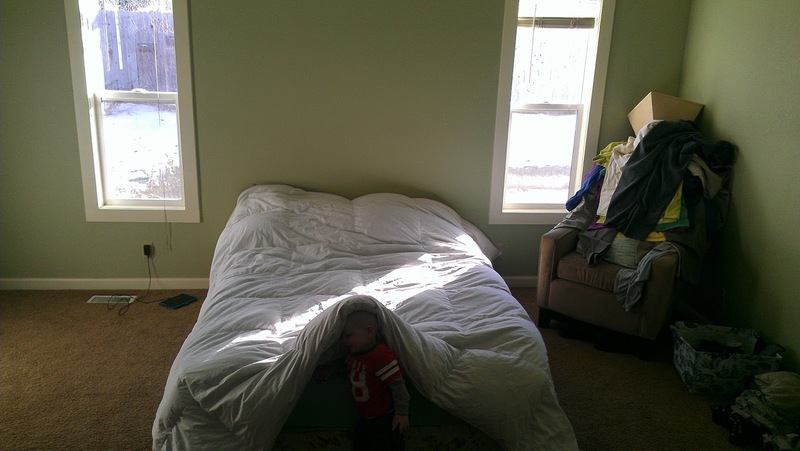 I was pregnant at the time and wasn't loving getting up from the mattress on the floor so naturally a DIY bed was a must. (you can find the 3 part series on how we built our bed HERE) Thing is, that's all we got around to doing. Well, like this except imagine piles of laundry, random crap from the kitchen remodel and one too many pieces of furniture....I'll spare you the gory image. I feel like the room has GREAT bones, but there are a few things not working, namely, the wall color the massive expanse of brown carpet, and a complete lack of wall art. 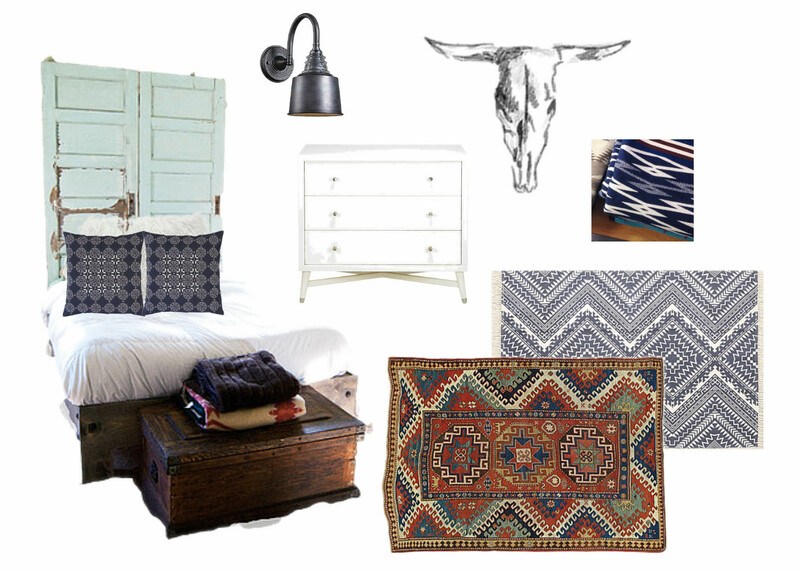 I put together this design board last summer (such good intentions...) to help me envision the room, but honestly it was feeling a little too drab & busy to me. So that brings us to the plan for this next six weeks. There are few things I will be incorporating that I didn't have when I made the original design board like a pair of mid century nightstands (eek!!) and a new Pendleton blanket for the bed. I am trying to decide if adding planking to the walls is doable and I would love some beams, but I recognize our limits right now, so that might have to be down the road. I'm also excited to be working with my own art in a cool way! Can't wait to share that with you all! Here's the new design board. The bed stays, although I might relocate it. Hopefully I can bring in some color with a rug, but I'm also pondering keeping the pallet mostly navy and mint so I included a navy only rug as well. Knowing me, it will come down to the budget and what I can find. I also plan on DIYing some projects like accent pillows and the wall sconces. 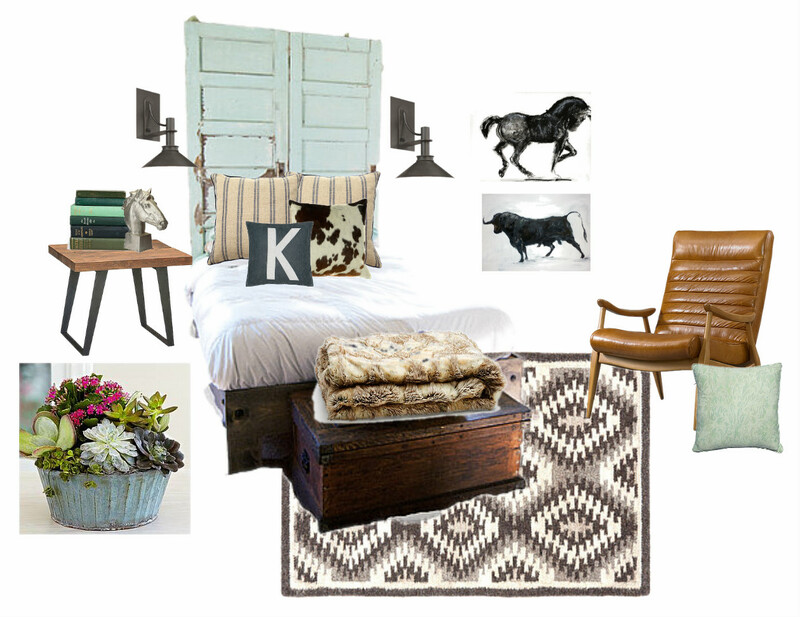 Just so you know, I make design boards, but I also like the room to evolve naturally. If I can't find the right piece in my budget, I'll wait until I do, challenge or not. Speaking of budget. Its pretty much non existent. Ha. Par for the course around here. I have a bit saved for the rug, which should be the only big purchase I need to make. The rest will be hard labor and some creativity. Here's a list of what needs to get done over the next 6 weeks. Do you think I can do it? My husband thinks I'm crazy, because there's lots going on right now, but I love a challenge! Be sure to head over to Calling it Home and check out the all the amazing blogs participating in the challenge!